Samsung posted on its newsroom website about the company’s first 1TB (terabyte) embedded Universal Flash Storage (eUFS). The Samsung’s new Universal Flash Storage has a package size of 11.5 x 13 mm and 1TB storage, which is larger than the latest which have 512GB. The smartphone that can save up to 260 10-minutes videos in 4K UHD that has 3840 x 2160 resolution format with the new 1TB eUFS. 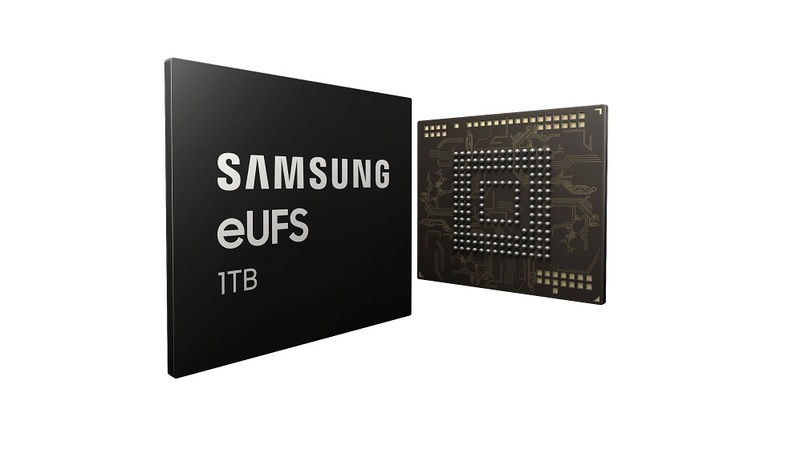 The new eUFS features include 1000 MB/s sequential read speed, 260 MB/s sequential write speed, 58,000 IOPS random read speed, and 50,000 IOPS random write speed while the Samsung 512 eUFS has 860 MB/s sequential read speed, 255 MB/s sequential write speed, 42,000 IOPS random read speed, and 40,000 IOPS random write speed. The capacity of the new eUFS has more speed that the other eUFS that has 10 times slower. The company has not yet confirmed the release date of the new eUFS but it is expected to release with the next smartphone model.